Here is an update from Facebook. Shiv-Sainiks were ransacking a small hotel in Versova and my maid’s kid, along with 5 friends, heard about it and went over to the hotel to see what had happened. By the time they got there, the Shiv-Sainiks were gone and police had arrived. With no-one to catch, the police went after these kids and caught 2 out of 6 of them. They have been beating those 2 kids for about 2 weeks, demanding to know about ‘their leader’. The 2 kids have finally broken and since they have nobody to name, they have named their remaining 4 friends. As I type this, the 4 kids are scared shitless and hiding from the police while the police has issued arrest warrants and is harassing the families for their whereabouts. They all know that all the kids will be beaten to a pulp if they are taken in. To me, this looks like the police needing to and blaming innocents for damage caused by the Shiv-Sena, since they obviously can’t go after the real culprits. I need to help these kids. I’m looking for this to get any media attention it can, or any legal advice on the matter, or any intervention by anyone who is in a position to make one. PLEASE share this and help me help these innocent kids. The families are at the police station NOW – other members of the families are being taken in. there’s no saying what methods they will employ to find these kids, only to blame them and punish them for the SHIV-SENA’s actions. The Versova police on Wednesday arrested a man who allegedly led 10 other men and ransacked and looted money from a pub claiming to be Shiv Sena members. The accused, identified as Sopan Karande, was part of the group that had attacked the staff of a pub named Soda at Versova on November 14. After assaulting the owner and staff, they allegedly fled with cash kept at the cash counter. On Wednesday evening, a staffer of the pub, Sandeep Patil, 23, saw the accused who was leading the group that evening, sitting in a shoe shop at Seven Bungalows in Andheri, and alerted his employer. The owner, Vikram Ramakrishnan, 33, reached the spot with a few police officers and identified the accused as one of the group that had ransacked the pub. “On November 14, some men started forcing people to shut their shops and restaurants claiming that Shiv Sena chief Bal Thackeray had died. Everyone shut down their shops, we also did, and a few customers who had ordered food were finishing it, when the group barged inside,” said Vikram in his statement to Versova police. He added, “The group led by Karande and another person, started abusing everyone and then started assaulting the staff. When I tried to stop them they assaulted me also, and then ransacked the place. 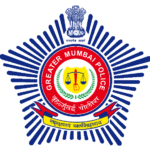 We later realized that Rs 20,000 in the cash counter had been stolen.” A case on charges of dacoity and rioting was registered with the Versova police on November 15 against 10 to 15 unidentified persons. “We have arrested the accused and are questioning him to find out if he belongs to any political party,” said Senior Police Inspector Prakash Borse from the Versova police station. Vikram had suffered a head injury as the accused hit him with a stone, while five staffers also suffered injuries. “The accused was accompanied by his brother and 10 other people. Two were nabbed but the attacker escaped” said Vikram’s wife Manvi. News story is from the 29th. The story of the police harassing the “kids” seems to be from an hour back (11am ish) today (30th). The description of the timings of the events seems to match in both stories. Is the person harassed the same as the “kid” from the Facebook story? Why, if someone has already been arrested are “kids” being harassed today? Is the person arrested to let of the Shiv Sena guys? Or is the arrested criminal claiming innocence and being targeted to protect the Shiv Sena? Hope our newspapers are able to snoop more on this. For someone to falsely accuse Shiv Sena has gotta be suicidal, particularly considering the form they are in since Bal Thackeray’s death. So seems highly unlikely that a random thief would accuse Shiv Sena to save himself. Accusing Bhaiyas getting Sena on their side made more sense in Mumbai. Just saying.